Break statement in Java Programming is used to come out of the loop control statements. 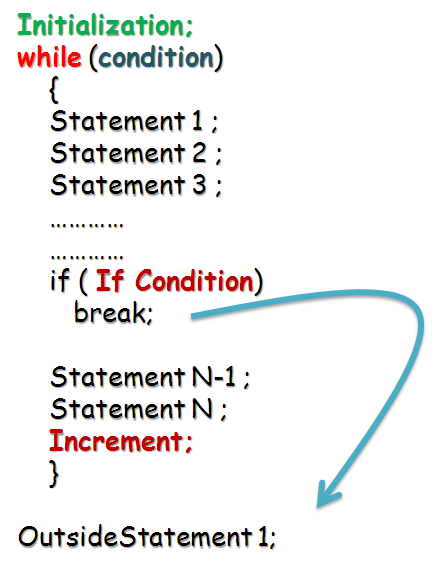 Break Statements skips remaining statements and execute immediate statement after loop. Break statement is used whenever our condition is satisfied inside loop and we have to come outside the loop. 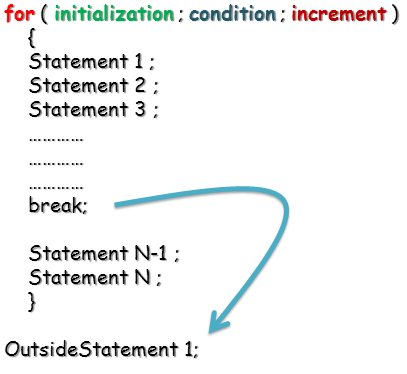 Break statement is used to make looping statements more flexible and provides more power to it. break statement will take control out of the loop. 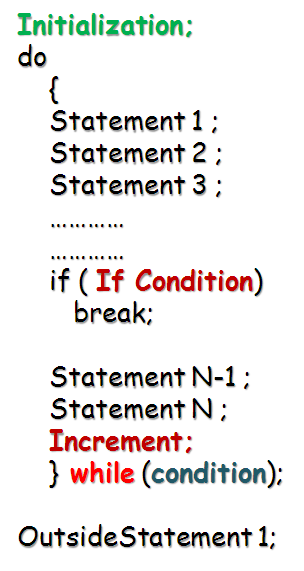 All the statements will gets executed i.e statement 1 , statement 2 …. when it encounters break statement it will break loop and take control outside the loop. In the above diagram break statement will take control outside the loop . i.e, it will execute OutsideStatement1 next to break. 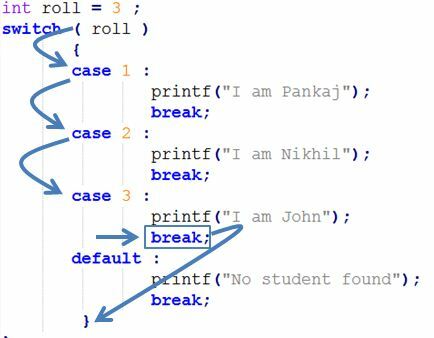 In this example we have written break statement inside while loop. Whenever this statement executes then break will move control outside the while loop. In do while it executes similarly as that of for and while loop. break statement terminates do while loop.